April 2015 marks the 70th anniversary of the liberation of Bergen-Belsen concentration camp by troops from the British Army’s 11th Armoured Division. This was only one of dozens of camps liberated by the Allied armies in the spring of 1945, yet it was the event which left the deepest impact on British consciousness. To understand why, Remembering Belsen, a special supplement to 70 Voices, will explore the impact of the liberation on the camp’s survivors, its liberators, and the British people. 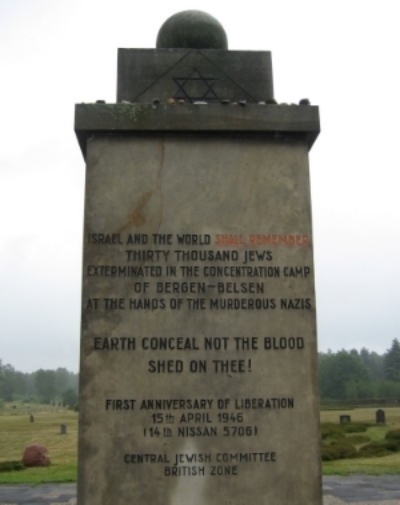 Photo: Modern view of a memorial erected at the site of Bergen-Belsen concentration camp on the first anniversary of its liberation; Holocaust Educational Trust.